...everything from J.S. Bach to JRB! …from J.S. 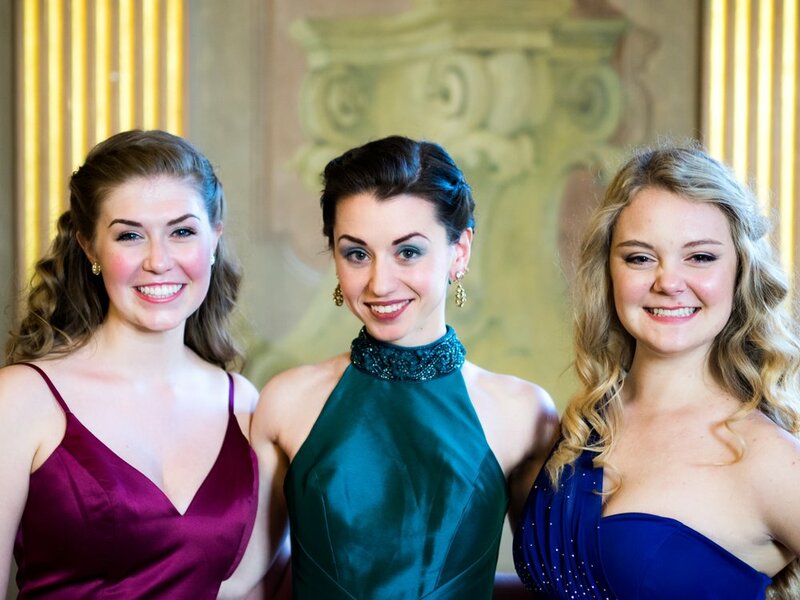 Bach to JRB, Orfeo Vocal Arts Academy celebrates ALL genres of western music! This one-of-a-kind program offers training in all vocal and interpretive aspects in the various genres of Classical Music and Musical Theater. From J. S. Bach to JRB, our talented faculty has the breadth of knowledge and experience to bring your singing to the next level! Study under the tutelage of teachers, coaches and conductors actively working in the field today. Perform in settings which inspired some of great composers to write their masterworks. Whether you’re preparing a new role, polishing your audition repertoire, preparing for a German audition tour, or you simply wish to hone your skills as an artist, the flexibility of OVAA's curriculum gives you freedom to study what suits your needs. A weekly schedule rich in classes, coachings, lessons, and masterclasses allows ample opportunity to refine vocal technique, fine-tune style and diction, and bring your selections dramatically to life. Our performance opportunities let you bring your repertoire from the practice room to the concert hall with the support of our faculty, your fellow students, and an appreciative audience. Musical Theater experts from New York and Germany bring years of teaching experience to give their students the technique and training needed to book the job and maintain vocal health for a lasting career. OVAA’s musical theater faculty are affiliated with two of the top musical theater training programs in NYC. Bringing years of experience to the table, teachers Alan Dornak and Holli Leggett (2016: in absentia) and vocal coach Lauri Young give their students the world-class technique and style training required to book the job and maintain vocal health in a demanding 8-shows-a-week lifestyle. 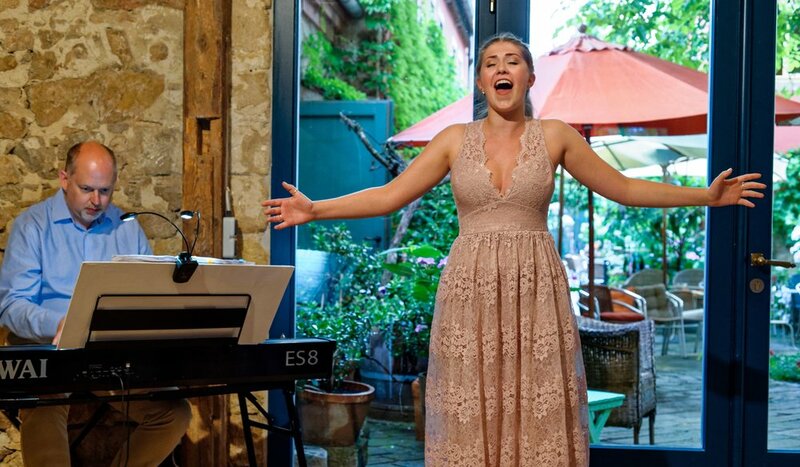 In addition to immersion in contemporary and classic Broadway, OVAA’s Musical Theater track offers training in other vocal styles (Country, Rock, Pop and standards), dramatic coachings, audition training (including a class on building your book and audition cuts), and workshops in stagecraft. You might be thinking: "Why Germany?" Let us tell you! Germany is a big market in the development and performance of American Musical Theater. For example, Rocky began its first phase of production in Hamburg (known as the “Broadway of Europe”) before moving to New York, and Dance of the Vampires began its journey to Broadway as a German-language musical (Tanz der Vampir) in Vienna, Austria and Stuttgart, Germany. Other popular shows with German followings are Tarzan, The Lion King, Phantom of the Opera, Chicago, and Sister Act, to name just a few. But don’t take our word for it, CLICK HERE for some insights from professionals. What will learning German do for my musical theater career? Since the German language has sounds that don't exist in English, studying it is an excellent exercise in diction and speech production. Learning how to pronounce new sounds will help you in any show that requires you to speak with a different accent than you normally do. And, of course, knowing a foreign language can open up opportunities to perform in other countries! If you're curious what else the German language can offer you, come to OVAA and find out! Explore performance practice. Understand the nuance of style. Experience the intimacy of ensemble. All in the over-the-top 18th century splendor of Dresden! The OVAA approach to Baroque music emphasizes the luster and panache inherent in this multi-faceted and sophisticated genre. 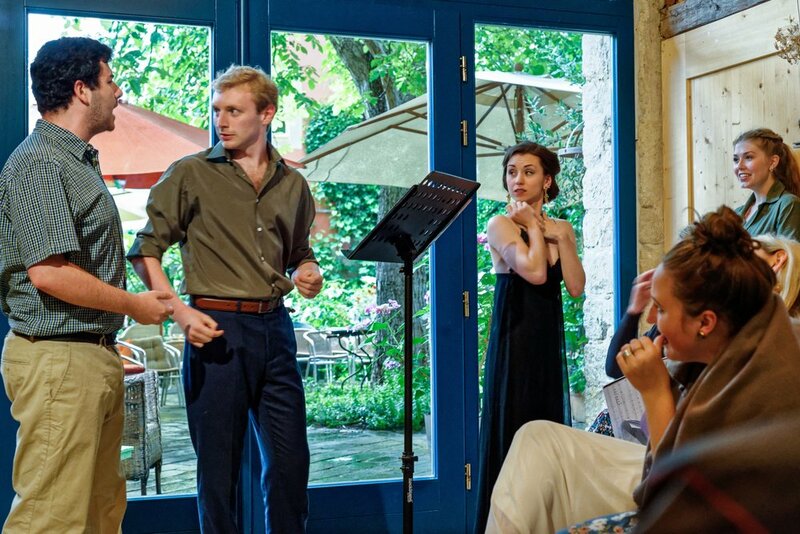 The faculty’s fluency in the intricacies of performance practice ensures that the course is appropriate and valuable for anyone from the beginner to the experienced Early Music professional. The Baroque is one of the most challenging and exciting musical eras and includes a plethora of forms, styles and cultural flavors spanning over 150 years of artistic expression. Dresden is the ideal place to delve into the flair and virtuosity of Baroque singing: it is a city whose art and architecture were born out of this same extravagant aesthetic which, remarkably, is as fresh and relevant today as when it was the pop culture of its time. OVAA will help you explore stylistic nuances, like the interpretive differences between a Dowland lute song, a J.S. Bach solo cantata, and a Händel opera aria, and understand how the intricacies of intonation can truly bring historic compositions to life. The primary instructors for the Baroque concentration will be Countertenor Alan Dornak and Harpsichordist Sabine Klinkert.